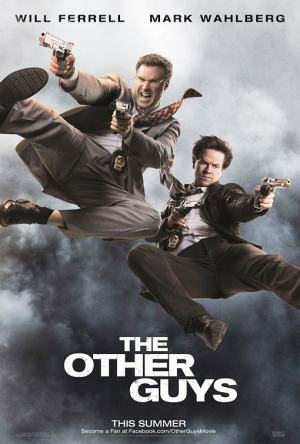 Terry Hoitz (Mark Wahlberg) & Allen Gamble (Will Ferrell) are known as one of the few loser detectives in their police department who are forbidden or gutless to get themselves involved in big cases. They stumble upon a case which involves a scam on billions of dollars, and decides to step up to solve it despite their differences and the lack of competency. Honestly, I wasn’t really expecting much from this movie but it turned out extremely hilarious. The chemistry between the actors shines through especially the two leads, Wahlberg & Ferrell. It just cracks me up to see Michael Keaton (FYI, he was the first Batman on big screen), Samuel L. Jackson & Dwayne ‘The Rock’ Johnson doing such funny roles. It’s not all just the actors, the jokes and gags are very well written and executed as well. Verdict: If ‘Toy Story 3’ is the best animated-film of the year and ‘Inception’ is the best sci-fi movie thus far, ‘The Other Guys’ is definitely in the lead for comedy of the year. It’s thoroughly entertaining. Brilliant performance by the big names. Just curious, how much did Toyota have to pay to get their Prius into this film? It played quite a central role and is shown and mentioned time & time again through out the movie. I bet the sales of the car has already gone up. Is there a scene after the ending credits? Yes. @taipau definitely not the expendables as well lol. how you know its your cousin bro's friend? lol. what's his name? haha. friend tutor same la huhuhu. haha but wat else is on ur mind?